Jay Z and Beyoncé might have a new duet album coming, capping off a stellar year as the Couple You Can’t Escape with their On The Run tour and divorce rumors. 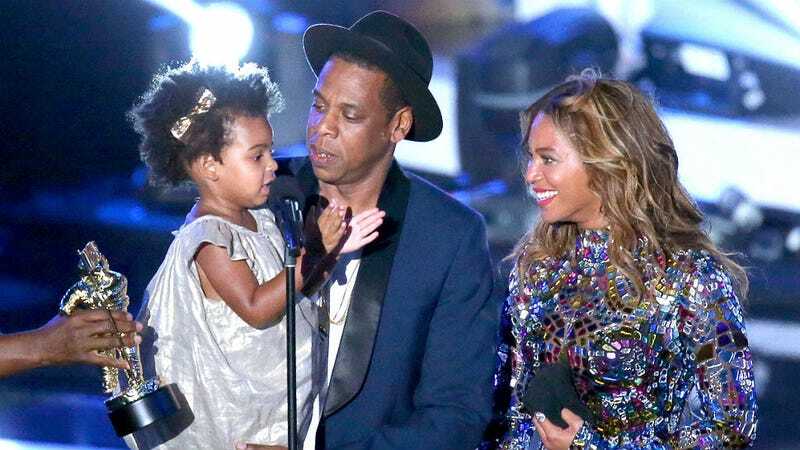 As a fan of Jay, Bey and Blue Ivy, I’ve got high hopes (and fantasies ... ) for their forthcoming project. First, giving honor to Beyoncé, which is at the head of my iTunes playlist, and Magna Carta, Jay’s last solo project, I took the liberty of crafting a track-list for the album that, according to the New York Post, might change our lives. The Post cites a source that claims the couple has been recording new music as well as a documentary, which might all debut in December. December would also be the one year anniversary of Beyoncé reshaping the music industry landscape as we know it with her surprise album touting umpteen videos and the tears of her competitors. Bonus documentary footage includes: Jay using an immersion blender to make Blue Ivy’s breakfast because he just doesn’t trust the chemicals in processed baby food, under Gwyneth’s watchful gaze.